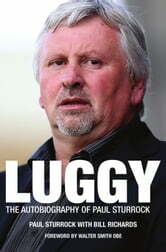 Paul Sturrock is widely admired as a manager, having turned around football clubs' fortunes both in England and his native Scotland. As a player he represented his beloved Dundee United and Scotland, and later managed the Tangerines after leading St Johnstone into the SPL. Moving south, he led Plymouth Argyle from bottom place in the basement division to the Championship within four seasons. Sturrock's uncompromising managerial style didn't fit with Southampton's players or owners; however Saints' loss was Sheffield Wednesday's gain, and promotion was again won to the Championship against all odds. Having stabilised Swindon Town and taken Southend United to a Wembley play-off final, he returned to Plymouth for a sad swansong dominated by the club entering administration and Sturrock's own revelation that he was suffering from Parkinson's disease. Paul's warts-and-all autobiography will both touch and inspire fans at all his clubs, and supporters of the beautiful game everywhere.